Okay, so how do you determine if you need a new air conditioner at all? The best way, and the one we recommend to everyone with this question, is to have a professional check out your air conditioner and give you their recommendation. That’s going to be the only way to know for certain how in need of replacement your air conditioner is. However, there are some warning signs that you can watch out for to help you decide when it’s time to install a new system. 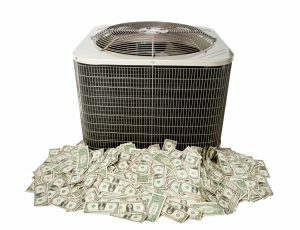 Is your air conditioner seemingly contributing more to the monthly energy bills than it should be? Is it breaking down more than once every blue moon? If so, you might need a new system. Both high operating costs and frequent breakdowns are signs that the system is struggling with high levels of wear and tear. Once a system has become that worn out, there is very little that can be done aside from replacing it entirely. You should also consider replacing your air conditioning system if it is older than 15 years of age. Systems that are still in use past that age will often develop a range of issues that will severely negatively impact their cost-effectiveness. Okay, so you’ve consulted with a technician and you think it’s time to replace your air conditioner. Why would you do it now instead of waiting until next year when it’s closer to the start of next cooling season? Well, for one, because that’s what everyone is going to do. If you wait before trying to get a new air conditioner installed, you’re going to end up competing with everyone else who needs a new air conditioner for an appointment slot. That adds to your wait time, which is not something you really want to be doing when the temperature is rapidly rising from day to day. Better to get it done early, so you don’t have to worry about it at all by the time summer rolls back around. Secondly, you’re going to be more likely to find deals on pricing and the like if you have your system replaced in the off-season. The A/C Guy of Tampa Bay Inc. offers comprehensive air conditioning services in Tampa, FL. If you want to install a new air conditioner in your home, contact us today to schedule an appointment with one of our professional technicians.